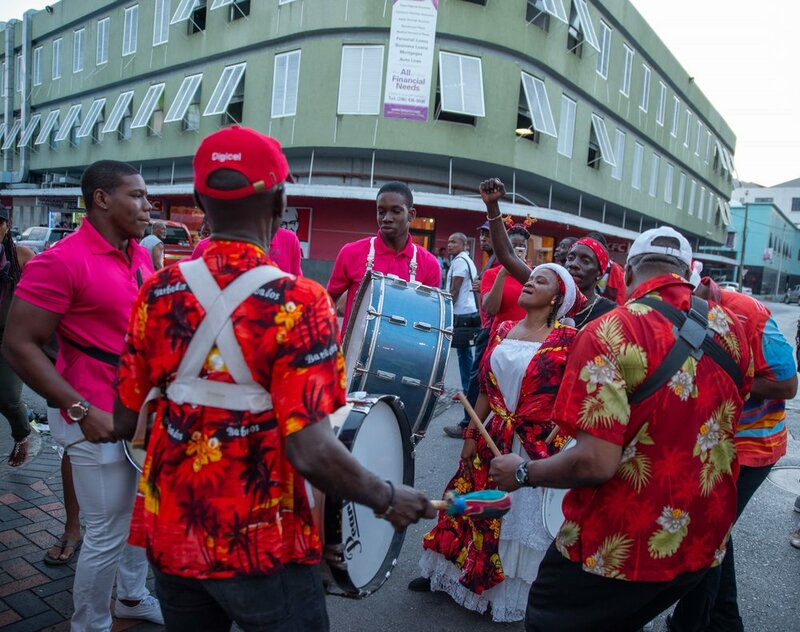 Yesterday evening, Friday, December 14 while scores of Barbadians were going about their shopping, they were treated to some pop up performances with seasonal music spreading Christmas cheer through the capital city Bridgetown. From Jubilee Gardens and Heroes Square to Swan Street and Broad Street and others in between, Poonka and Ruk-a-Tuk International accompanied by folklore characters, as well as the Phoenix Pan Round the Neck group, all brought life to the whole Christmas shopping experience as part of the 2018 'Come Town Fuh Christmas' project. The National Cultural Foundation (NCF) joined forces with the Barbados Tourism Product Authority (BTPA) as the producer of this year's 'Come Town Fuh Christmas' project. The project consists of two events both in Bridgetown, the first of which took place yesterday and the other, next Friday, December 21st. The original plan conceptualized by the BTPA is a multi activity, Private Public Sector Partnership (PPP) with the objective of rejuvenating the city of Bridgetown particularly after sundown; highlighting this UNESCO World Heritage Site; and enhancing Barbados’ tourism product offering. It utilises all the cultural assets – waterways, museums, heritage sites & buildings, restaurants, late night shopping and entertainment. 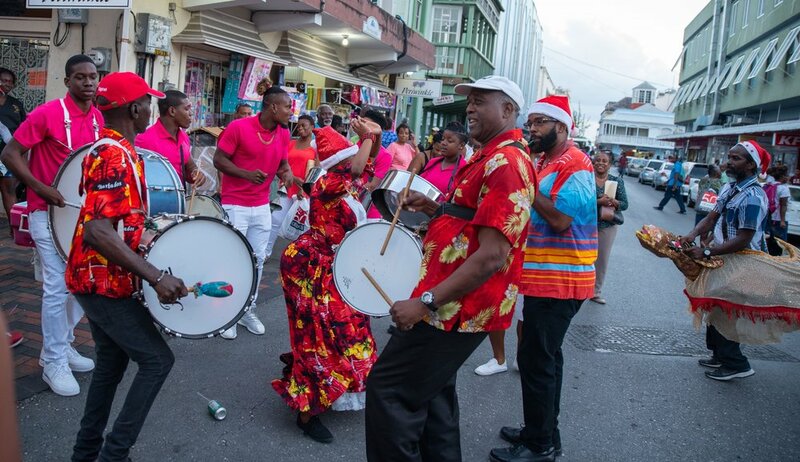 Next Friday December 21st, BTPA and the NCF will heat things up again with more exciting strolling entertainment, as a lead up to a fantastic 3-hour free concert in Independence Square. The strolling entertainment will start at 5:00 p.m. and the show is set to begin at 6:00 p.m. with youth phenomenon and NIFCA Gold awardee, Tavon Boyce; NIFCA Silver Awardee, Cherece Richards; rising stars Harmony, out of the Alleyne School; and reigning 2018 Courtesy/Mount Gay Pic-O-De-Crop Monarch MRBLOOD. The other surprise acts will be announced on Monday, December 17th. Poonka and Ruk-a-Tuk International accompanied by folklore characters, as well as the Phoenix Pan Round the Neck group, all brought life to the whole Christmas shopping experience.